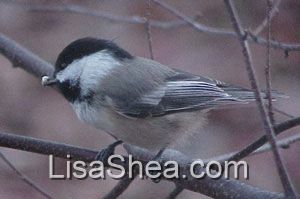 Chickadees are perhaps one of the friendliest birds in the US. They can easily be trained to come down and eat seed from your hands, and love both mixed seed and sunflower seeds. 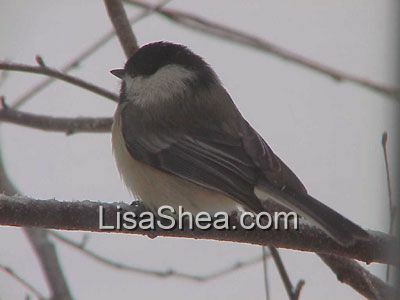 They´ll even nibble on thistle or suet if it´s made available. Here's a video taken in the summer in Sutton, which features several playful chickadees!